The so-called "Great Granary" in Mound F. Its earliest levels date to 2450 B.C. 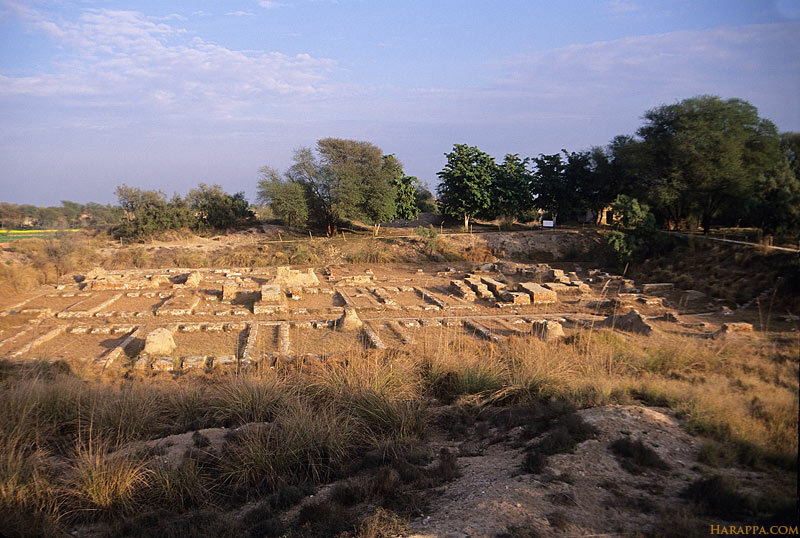 A similar structure, also about 50 meters long and built on a massive brick or mud-brick platform, was found at Mohenjo-daro. Influenced by European precedents, early archaeologists quickly identified the buildings as granaries. At Harappa, two sets of 6 rooms are aligned on either side of a central passageway.